being a health conscious noob | escaped. Anyone who’s been following this blog would know I’m not really a health-conscious person. My eating habit, in particular. So I’ve tried making healthier dishes before, but it didn’t last very long (for my standard, at least. And that’s an already low one). I’ve never been to the gym. I’ve never considered exercising as part of my life. I used to take coffee every single morning – with an extra cup at night, too. Until I got pregnant, and everyone asked – no, pleaded, really – for me to start taking care of my health better, and in that same sentence, for me to start taking veggies. So I started with salad, albeit irregularly. And.. I started reading health-related articles, too. Something I’ve never bothered to do before! Thank goodness for Positive Health Wellness, who came to my rescue to solve all my qualms about what being healthy is all about. 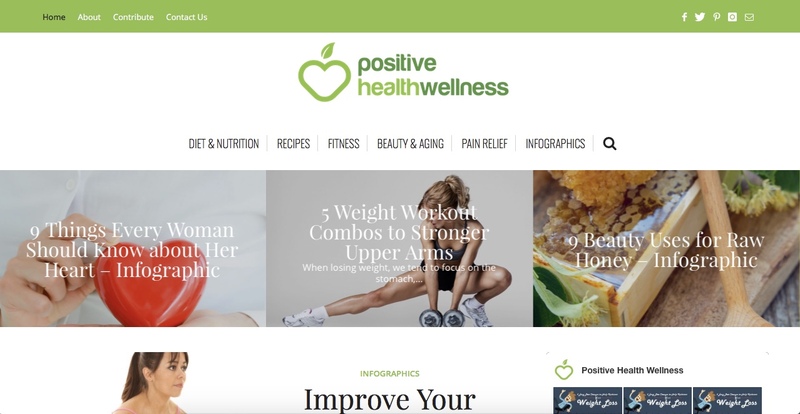 Came across the website, and unlike other health and wellness related website, they don’t sound like they’re preaching – more like advocating healthy habits, to me. They don’t throw around the words like yoga, exercise, healthy food, etc (I find articles which do this extremely off-putting) and focus on topics which are relatable to everyone, even a non-health freak like me. So what are the topics they cover on the website? Almost everything, really. When I first came across the website, I saw one of their articles entitled “How To Minimize Weight Gain During Breastfeeding” and immediately clicked on it. Then I thought, oh maybe they’re mostly promoting breastfeeding on their website? But turned out it’s just one of the topics they covered. They cover almost everything! Reading the articles felt like immersing in a good magazine – only that they’re online so you can read it on your laptop, in your comfy bed. My favourite articles are mostly under their “Infographic” tab, because they’re simple and fun to read. When I want to try making a healthy dish, I’d go their “Recipes” tab and refer to the recipes they have – so simple and easy to make, too.